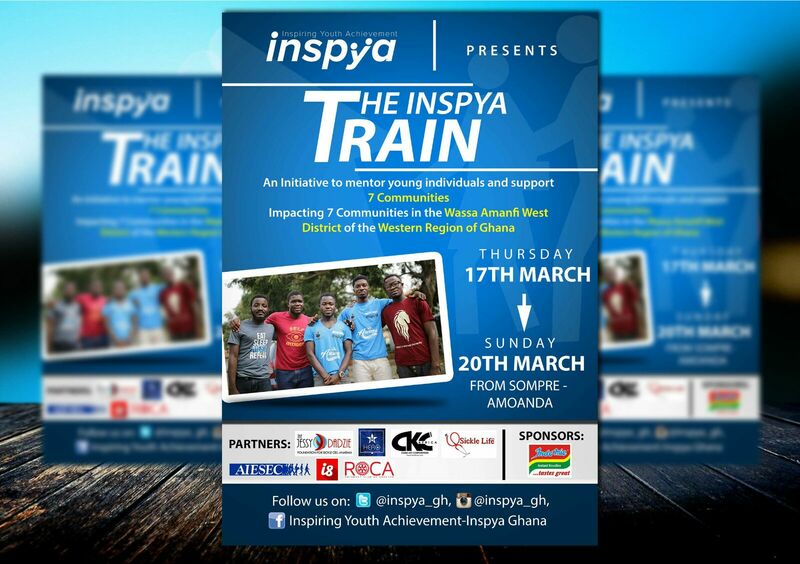 INSPYA (Inspiring Youth Achievement) in line with its aim of encouraging, supporting and inspiring young people to achieve their ambitions is embarking on a mentorship and education trip to Sompre and its surrounding communities within the Wassa Amenfi West District of the Western Region of Ghana from Thursday the 17th of March to Sunday 20th March 2016. * A positive learning experience. * An appreciation of various stereotypes that hinder economic growth. * A platform to educate, inspire, encourage and motivate the youth of the communities visited. * Provision of skills training for financial independence. *Painting of Blackboard in local schools. *Training of youth in liquid soap and scented candles making. *Training of some senior high school graduates and other youth as health ambassadors (peer counsellors). * Medical screening (Free Sickle Cell Testing…). Inspiring Youth Achievement (INSPYA) aims to encourage, support and inspire young people to achieve their ambitions. Our work includes, amongst other things, training individuals to mentor students in primary and secondary schools who are underachieving, disaffected from education or on the verge of exclusion. We attempt to achieve our aims via Mentoring, Self-Development and Career events. Sickle life is proud to be collaborating with the Jessy Dadzie Foundation to provide health services on INSPYA’s #Sompre2016. We recognise good work and encourage others to volunteer on such commendable missions and donate toward such causes. Special thank-you to all partners, sponsors and volunteer. Search the #Sompre2016 to stay updated. Social Media Team. The Sompre Project. This entry was posted in News/media and tagged #Sompre2016, Ghana, sickle cell awareness, sickle cell screening, volunteer. Bookmark the permalink. ← My Sickle Life: The Story of My Life. continue the good job. bt I will like to join. Thank you. Unfortunately registration of volunteers is over. We will save your details and contact you for our next project.